EATON Park MR is celebrating its 60th anniversary year. The Norwich-based line is run by the Norwich & District Society of Model Engineers. It was opened in 1959 as a raised, 5in-gauge track, with a 5in-/ 7¼in-gauge ground-level line being introduced in 2006. 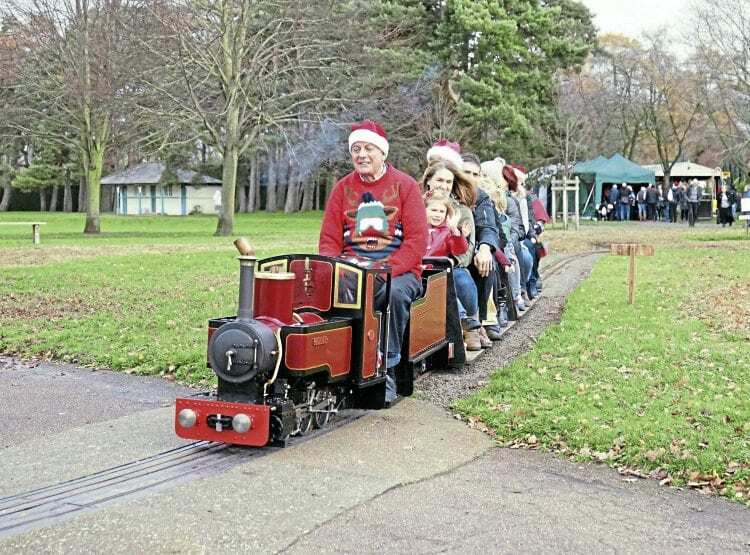 Sophie B heads a ‘Santa’ special at Eaton Park Miniature Railway on December 2, with builder/owner Pete King at the controls.The 0-6-0T+T was started in September 2012 and completed in 2018. It is based on the ‘Romulus’ design, but with modifications, including side tanks. It has Walschaerts valve gear and vacuum brakes. Trains run Sundays and Bank Holiday Mondays, April 7 to October 6, on the ‘main line’ from Parkside station, except for the first Sunday each month, and May to September, when the raised ‘Heritage’ track from Larch End station is used. A commemorative day is planned for July. 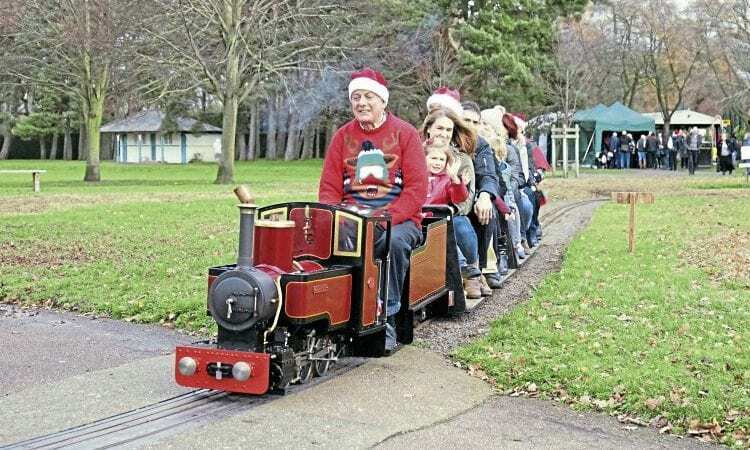 Trains run 13.00-17.00, weather permitting.